Katrina and Ryan came all the way from Houston for their shoot and I had a wonderful time getting to know them both better! They are tying the knot this September at Olde Dobbin Station in Montgomery – one of my favorite Houston venues. We had the perfect day for their winter engagement session with lots of sunshine! 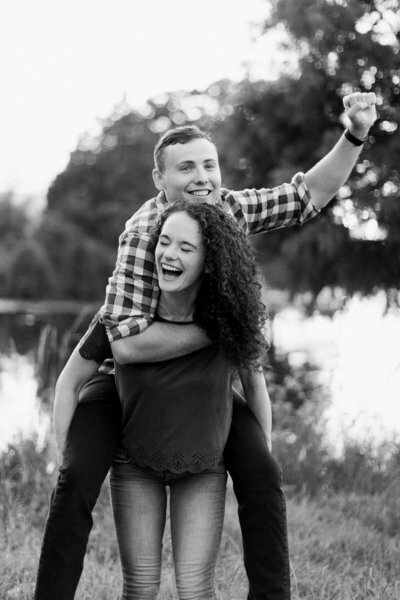 Katrina and Ryan knew of each other because they were in the same high school class, but they didn’t connect with one another until Katrina’s college senior year. Ryan knew Katrina enjoyed playing tennis, so he invited her to play tennis with him. Turns out Ryan didn’t have the best hand-eye coordination so they ended up laughing most of the evening! Thankfully they hit it off and the rest is history. Katrina and Ryan are such a sweet, laid-back couple, it’s obvious they are meant for one another! Katrina and Ryan, many congratulations on your engagement and upcoming wedding. I can’t wait to celebrate with you in September!! Since the weather is so unpredictable this time of year, Lauren and Miles decided they wanted an indoor engagement session so they booked the Lumen Room in Dallas for their shoot! The Lumen room is full of natural light and fun props making it the perfect place for an indoor engagement. 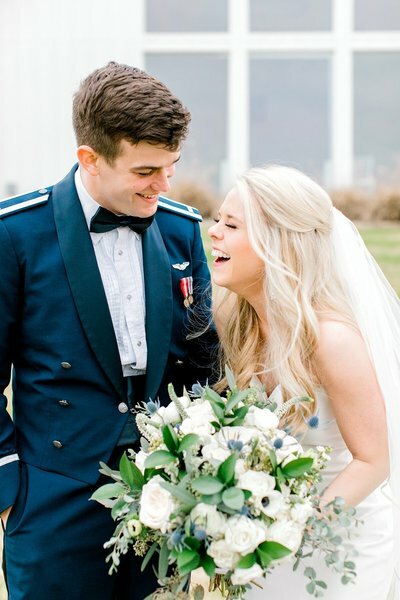 Lauren and Miles first met in the children’s ministry section of their church. They were introduced by the children’s director when they were passing by one another. They didn’t see each other for a while after that, but kept hoping they’d cross paths again. Mile’s ended up emailing Lauren letting her know he’d like to see her again! His persistence paid off and I can’t wait to celebrate with these two at the Ashton Gardens in Corinth this coming May. Together Miles and Lauren enjoy being outdoors, going to dog parks and playing Settlers of Catan! I’m also a huge fan of Catan, so I was thrilled when they brought it along to their engagement session. It was so fun capturing them playing one of their favorite games! I hope you enjoy looking through a few of my favorites from this fun, laid-back engagement session. Lauren and Mile’s, many congratulations to you both and I can’t wait for your big day! This session reminds me of something out of a Wes Anderson movie! When Mary and Patrick showed up with their Tandem bike that they were learning to ride, I was pretty excited! Mary and Patrick are both into the 50’s vibe so this session fit them perfectly. Together they enjoy drive-ins, old movies, ice cream, antiques, tandem biking, and kayaking! Mary and Patrick first met when they were juniors in high school. Mary had just transferred to Temple High and was the shy new kid. That particular day she was feeling bold and wanted to make a new friend so she complimented the boy sitting behind her in German class that was wearing a Star Trek shirt. That boy happened to be Patrick and he was a little surprised by her compliment, but after class they walked together and chatted becoming instant friends. One day they had a 50’s themed date planned and Patrick borrowed a 1957 Bel-Air from his friend and they went to the movie theater that showed old movies to see West Side Story. After the movie they got bobba tea, visited 2 antique shops and ended their date strolling through the park. Patrick popped the question at the park and Mary of course said yes! They are getting married next June at the Chapel at Caliber Oak in Temple, Texas and I can’t wait! Mary and Patrick are two peas in a pod and I’m so happy they’ve found one another. Many congratulations to the future Mr. and Mrs.! 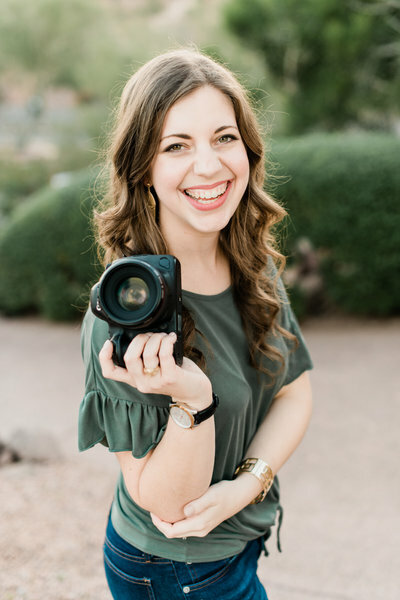 Now that I’m back from the amazing Showit United conference, it’s going to be a week full of engagement sessions on the blog and Nicki and Joe are the first up! We had the perfect weather for their engagement session! It’s been so dreary around here lately, I was thankful for a few days of sunshine which came just in time for all my sessions. I met up with Nicki and Joe at Buffalo Bayou Park for their engagement session and I could tell right off that bat it was going to be a good time. Nicki and Joe are both so laid back and fun, I had a great time getting to know them both better during their session! This park proved to be the perfect location and it had a beautiful view of the city – almost made it look like it was glowing as the sun set! Nicki and Joe first met when they were interns for the same company. They both had crushes on each other, but Joe didn’t get the courage up to take Nicki on a date until almost two years later! When Joe was ready to ask Nicki to marry him, he got all their friends and family on board for a surprise proposal for Nicki! Joe casually asked Nicki out one Friday night to the restaurant where he had the surprise planned, but ironically Nicki was worn out from the week and almost didn’t go. Thankfully she changed her mind and the surprise proposal was on! Joe took Nicki to the place where they had their first dinner date. When they arrived they were welcomed into a private room where they placed a drink order. Instead of the drinks they ordered, the servers brought out champagne and Joe asked Nicki to marry him as the doors to the room were opened and all their family could share in the moment! I can’t wait to celebrate with these two next June for their wedding at the McGovern Garden’s in Houston! Many congratulations to the future Mr. and Mrs.! Paul proposed to Jayle on a family trip to Las Vegas celebrating Jayle and her mom’s birthday. Paul knew this would be the perfect time to pop the question, but still wanted to keep it a surprise for Jayle. One of the early nights of their vacation they went to a fancy restaurant, but Paul decided to hold off to keep Jayle in suspense. The moment finally came when they were taking photos in front of the “Welcome to Las Vegas” sign. After waiting in line, they got up to the sign and Paul got down on one knee and asked her to marry him. She said “yes” then everyone around including a huge tour group that had just arrived began applauding! These two are tying the knot in Aggieland next fall at Brownstone Reserve and I can’t wait to be a part of their special day. Many congratulations to Jayle and Paul! Here’s a little engagement session sunshine to brighten this rainy day! Morgan and Shaughn knew of each other in college, graduated, then went separate ways without much coming of their relationship. One night, they each went out separately with friends in Wichita Falls where they locked eyes and their relationship began! Last week I met up with these two on a beautiful day in Fort Worth for their engagement session. They wanted to include their old truck in the photos so they hauled it to Fort Worth. The truck had previously belonged to Shaughn’s grandfather and it was the perfect prop for their portraits, I love how sentimental it is to them! These two are tying the knot this November at the Springs in Weatherford and I can’t wait for their beautiful day! Morgan and Shaughn, many congratulations on your engagement! Stacy and Alvin both live in Austin, but are getting married at the Laurel in Grapevine next May! Since they live in Austin, we set up a time to get to know each other better over Facetime and from that call I knew we were going to be a great fit! They both love the outdoors, spending time with friends, playing board games, and of course each other! Stacy and Alvin met when they were in high school at a Christian summer youth camp when Alvin was wandering around the campsite. He ran into Stacy and a friend jumping up and down trying to take jumping pictures! Stacy said she had never laid eyes on such a handsome boy in her life. Alvin was at first taken aback by the girl’s silliness, but quickly became comfortable and Stacy and Alvin became good friends and later started dating. For their engagement session we met up in Fort Worth which is now officially my favorite photo location I’ve come across! I looove this park because there’s beautiful trees, tall grass, and a lake that everything overlooks. We joked around during their session that it almost looked like Austin rather than Fort Worth! I can’t wait to celebrate Stacy and Alvin next year in Grapevine in May. Congrats to the future Mr. and Mrs. Tung! 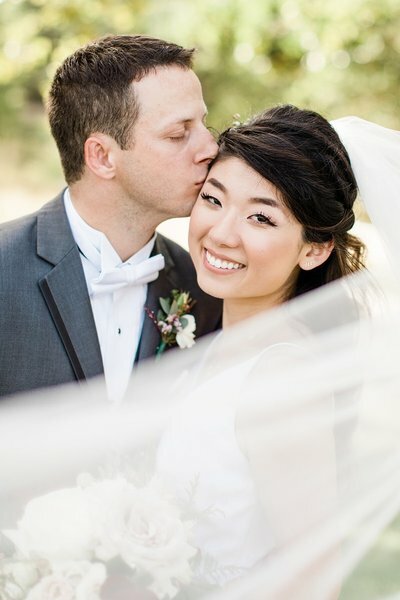 Jodi and Tyler met in early 2016 at Texas Tech University. They had both recently joined the Student Activities Board as homecoming representatives and were brought on to be partners. They are both from the DFW area, so for their first date they actually went to the Stockyards in Fort Worth! Tyler proposed to Jodi a year and a half later on St. Thomas in the U.S. Virgin Islands. He tried to catch Jodi off guard, so as soon as they arrived, he took her to a rocky area on the beach and got down on one knee. In Jodi’s words, “between the waves and the sound of my own heart pounding, I didn’t actually hear the question, but I said ‘yes!’ anyway. Jodi and Tyler are officially tying the knot at the Orchard in Azle, Texas next spring. The Orchard is one of my favorite venues in the DFW area with beautiful, huge, trees for you to get married under! Many congratulations to the future Mr. and Mrs. Hays! I can’t wait to be a part of your special day! You may remember Taylor and Vanessa from their proposal that I blogged a couple of weeks ago! Taylor mirrored his proposal after an escape room by creating a series of mini puzzles for Vanessa to figure out and ended at the Antique Rose Emporium outside of College Station. Vanessa and Taylor are both some of our closest friends and it’s been such a joy being a part of this special season of their lives! A couple of weeks ago I traveled to College Station for several engagement sessions, theirs being one of them. I always love getting to catch up with old friends during my visits to cstat! You wouldn’t know it by the photos, but it was about 100 degrees outside when we shot these. Luckily the heat didn’t feel that bad…when you’re with good friends the time flies! I looove the outfits Vanessa chose for her engagements and they fit with the beautiful greenery and water perfectly. I can’t wait to celebrate with these two in January at the White Sparrow in Quinlan. It’s always exciting when two friends get married, but even more exciting when I get to be a part of this joyful season! Vanessa and Taylor are both such genuine, fun, people, I know their wedding day will be a blast! Many congratulations to the future Mr. and Mrs.!